More municipalities react to court ruling! 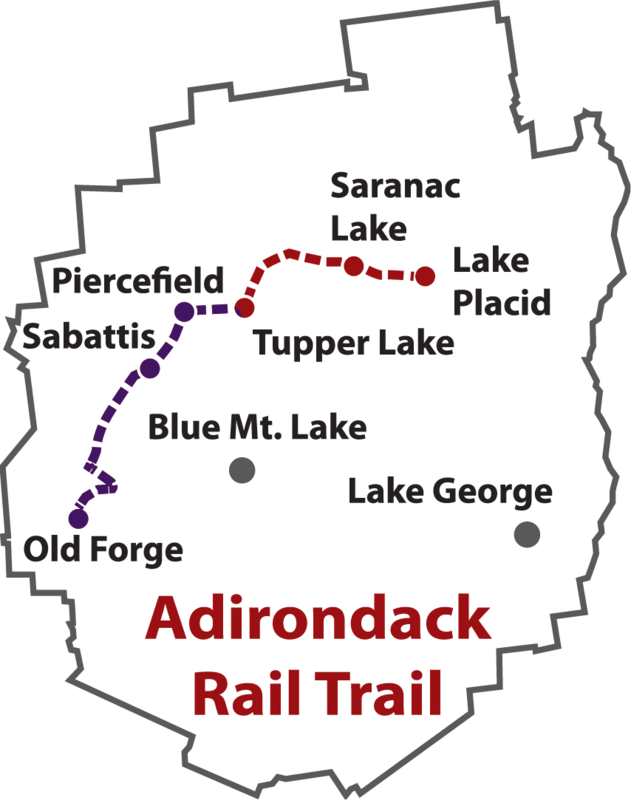 The Village of Saranac Lake has joined St Lawrence County, the Village of Lake Placid, the Beaver River Property Owners, and the towns of Piercefield, North Elba, Colton and Tupper Lake in expressing concerns about invalidation of 2016 Management Plan and in calling for the Adirondack Rail Trail to be built as planned. Multiple municipalities along the proposed Adriondack Rail Trail have begun to take formal action to request that the State resolve the crisis, pointing out that the status que ante serves no one's interest. Linked here are the formal resolutions as we get them. 34 miles linking Lake Placid, Ray Brook, Saranac Lake, Lake Clear, and Tupper Lake. A multi-use solid-surface all-year recreational trail. 56 miles linking Old Forge, Big Moose, Beaver River, Sabattis and Tupper Lake. Rails in place: a snowmobile trail.